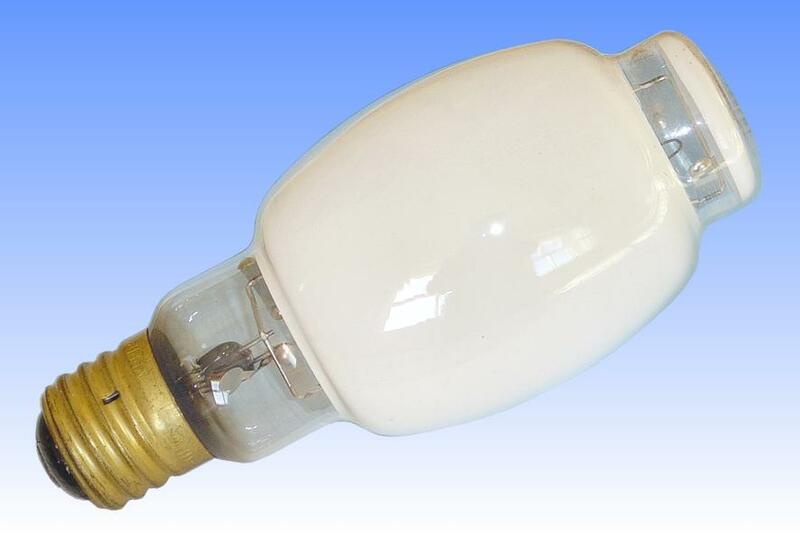 The Deluxe White colour mercury lamp was first introduced by Sylvania during 1964, its phosphor having been invented that same year by Frank Palilla and Albert Levine at GTE Laboratories. 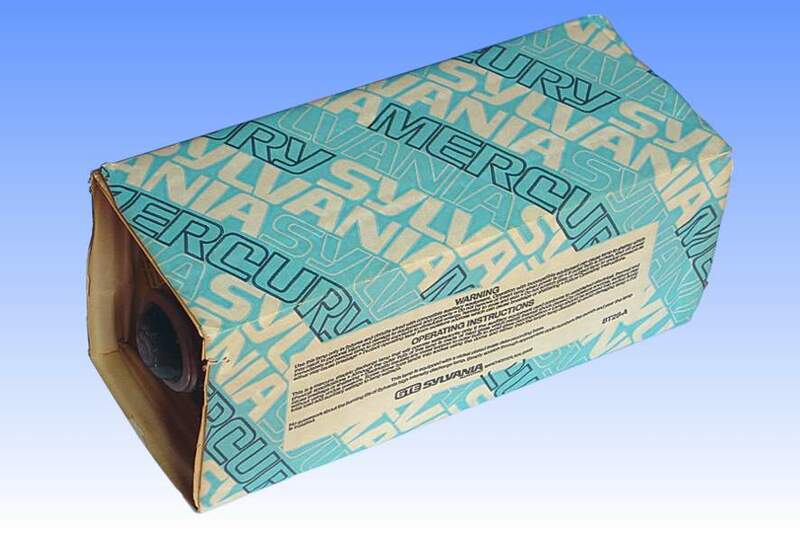 The new material was yttrium vanadate with an activator of europium, and it is still employed as standard in today's mercury lamps. It was originally developed as a strong red-emitting phosphor for Sylvania's cathode ray tube division, which did not suffer the adhesion problems of the early yttrium oxide red phosphors. 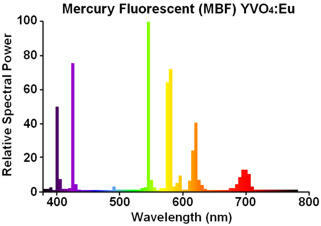 Directly after its development it was trialled in mercury vapour lamps as well, where it was found to be greatly superior to all previous phosphors. It boosted the red ratio vs the former germatate coated lamps from 7% to 11% and did wonders to increase colour rendering. Additionally yttrium vanadate is a white coloured powder, unlike its predecessor which has a yellowish body colour, thus absorbing part of the blue mercury line and reducing efficacy. Vanadate phosphors not only improved the colour rendering index, but simultaneously boosted efficacy - the first time this was achieved in a mercury lamp. The arc tube mounting frame is the standard wire type, this having superseded the flat-frame rough service construction once new frame alloys more resistant to distortion had been developed. The dome of BT lamps was traditionally left uncoated to overcome the problem of the frame scraping away some phosphor and producing dust in the lamp. 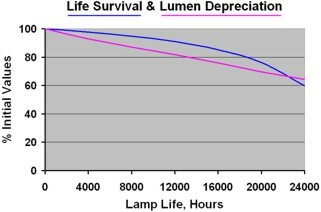 However this lamp is of the clear band pattern, introduced from 1975, to achieve more uniform light distribution and prevent the escape of light direct from the arc tube. Factory: Manchester, New Hampshire, U.S.A.
3) BriteWhite Deluxe, A New Dimension in Mercury Lighting - Sylvania Brochure, December 1966.